Recently a client and I worked through a huge leadership step for her – one that she was afraid to take. She knew that she needed to move on; she knew that it was most likely a right step; she knew that she wanted to go forward. But she was stuck, because she was scared. My client had every reason to be nervous; she was making a move that was huge for her. But the reality is that we often don’t know what will come after our initial step, and we have to move forward anyway. We have to have done our homework, researched our options, thought through possibilities, and then take action often without full knowledge of the outcome. It helps to remember that it’s only one step we’re taking – most steps we can retreat from, if necessary. And it helps to remember that very few steps can decimate us or our careers by themselves. I often remind my clients, as I did this client on this occasion, “What’s the worst thing that can happen?” In reality, the worst possible outcome from a single step is generally not too bad, whereas the imagined outcome is horrendous…and highly unlikely. In a recent blog post, Do what Lewis Carroll did before breakfast, we explored how imagination can help us to see what’s possible and think beyond our limitations and fears. Sometimes we have to move forward and move on – and we have to do so in faith. 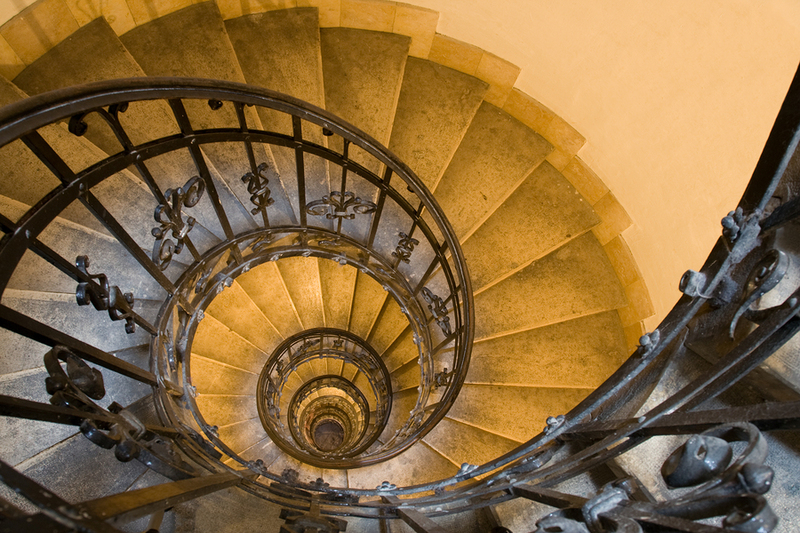 To take that first step, trusting that the staircase will appear before us as we keep moving. Do your homework. Then take that step. Where do you need to take that step? What do you need in order to have faith? To see how coaching can help you take the first step, contact Lisa at lkohn@chatsworthconsulting.com.